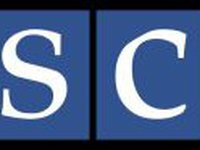 The OSCE special monitoring mission has said that the situation in the eastern regions of Ukraine is rather tense. "As the monitors moved about the cities to gather information, they were able to listen to the concerns of the local population, often initially mistrustful, and explain to them the OSCE role and its broad participation of states including Russia and Ukraine," the OSCE said in a statement obtained by Interfax-Ukraine. According to the statement, a monitoring team that went to Sloviansk, Donetsk region, following reports of an attempt by Interior Ministry forces to regain the occupied police building, "encountered multiple roadblocks before being permitted to enter the town by heavily armed masked men." "In the city of Donetsk, although the number of barricades at the occupied regional administration building and tents on Lenin Square did not appear to be increasing and no pedestrians were observed near the regional police headquarters, the monitors judged that the situation could deteriorate," reads the statement. OSCE experts also said that the situation remained tense in Kharkiv and Luhansk, where several thousand pro-Russian activists were seen.